Equals - better financial services for the 'Services Family'! People admire the straightforward, straight-talking way the UK’s Armed Forces get things done. We want to bring the same transparent, can-do attitude to the world of finance. Inspired by innovation in financial services and the 'smartphone generation', we intend to provide financial services to support all those men and women who devote themselves to, or prize, or champion public service. Socially responsible and drawing on military principles and behaviours, we will be open to all those who share the values of the United Kingdom’s Armed Forces, not just the military but also the general public. Keeping business model simple and listening to our customers, we intend to provide the products and services to best meet their needs. We will combine quick and easy access with the help customers want to get the most out of their money. Through our education tools and partners, we will support the Services Family and our wider supporters get the best from their money. We want to put a 'face' to digital finance and listen to our customers. 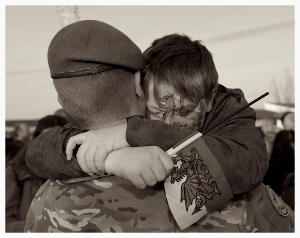 The Services Family Ltd is trading as 'Equals' and offers insurance for you, and people who support you, in Service, transition or as a veteran. Check out our small business insurance. Our services are expanding rapidly so follow us for updates!